A Montessori classroom typically has a trained Montessori teacher, known as a Director or Directress, supported by a Montessori assistant. 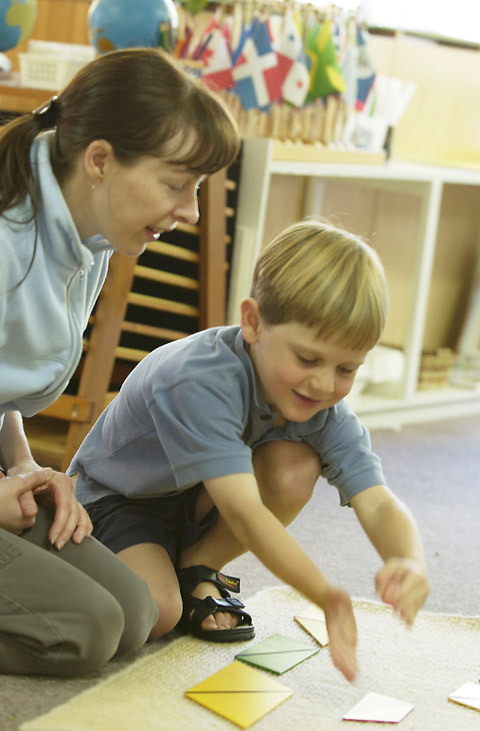 Montessori teachers typically have a normal teacher qualification as well as an additional Montessori specific training. The teacher is a guide or facilitator whose task it is to support the young child in his or her process of self-development. They are foremost an observer, unobtrusively yet carefully monitoring each child's development, recognising and interpreting each child's needs. The Montessori assistant’s role is to support the teacher and promote peace and order in the classroom. They value and respect the uniqueness of each child while consistently nurturing and modelling a love of learning. The assistant is a keen observer and is knowledgeable about developmentally appropriate behaviour and practices and supports the individual needs and interests of the children.